New research recasts how we think about the early peopling of Southeast Asia and the relationship the earliest humans had to the indigenous people of the region today. Thousands of years ago, the ancestors of modern humans left Africa to embark on a journey that would eventually take them across the globe. Yet we still know precious little about the momentous journeys they undertook. Now, new research by my team and me significantly recasts how we think about the early peopling of Southeast Asia and the relationship the earliest humans had to the indigenous people of the region today. Southeast Asia spans some 4.5 million square kilometres and is today home to roughly one tenth of the world’s population. Yet, we still know very little about their origins beyond a few thousand years ago. This region’s ancient past has much wider importance; the early peopling of New Guinea, Australia and ultimately, the Pacific, was launched from Southeast Asia. Yet archaeologists have found only six sets of remains dating beyond 25,000 years ago from across the region. This is the closest we’ve come to having skeletons of the first modern humans themselves. They were scattered far and wide: found at Wadjak in Indonesia, Niah Cave in Malaysian Borneo, Callao Cave and Tabon Cave in the Philippines, Tam Pa Ling in Laos and Moh Khiew Cave in Thailand. Strikingly, the Wadjak remains were found in 1888-90, and the Tam Pa Ling bones only uncovered in 2010. This gives a sense of just how rare and valuable early human remains are and how infrequently such discoveries are made. It brings me to the famous Deep Skull, which was found by Tom Harrisson and his team almost 60 years ago in Niah Cave in Sarawak. This fossil was the focus research we published today in the journal Frontiers in Ecology and Evolution. 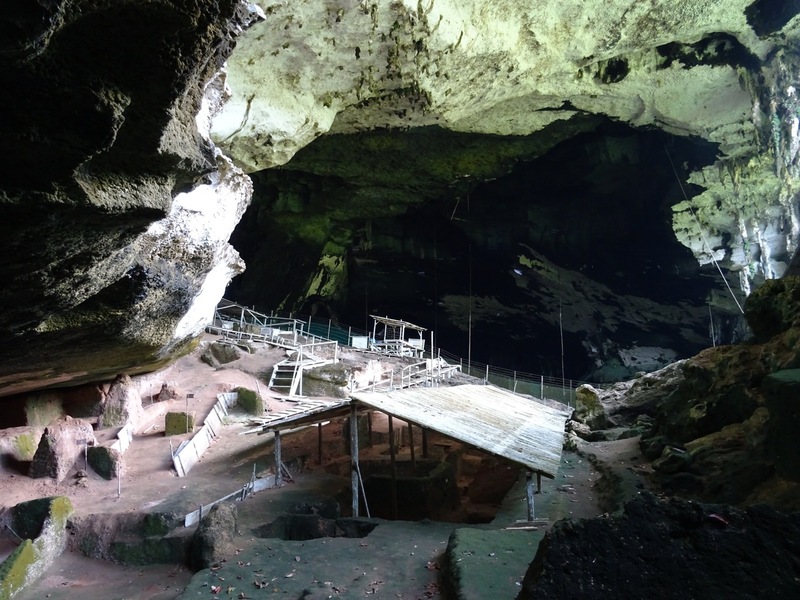 Deep Skull was recovered from the evocatively named “Hell Trench” of the great West Mouth of Niah Cave in Sarawak; the name was given to the trench due to the incredible heat endured by the excavators in the afternoon sun. 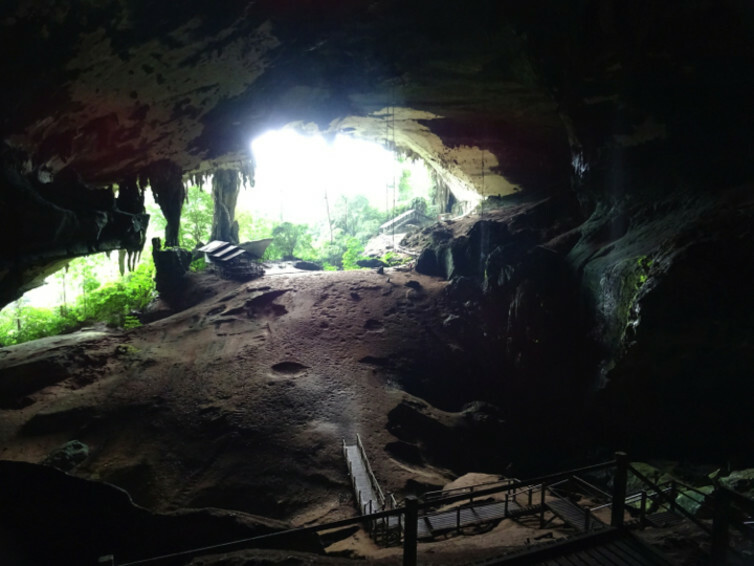 Niah Cave itself is a remarkable system of caves set in ancient limestone in northern Borneo that has supported the trade in bird nests for centuries. The West Mouth is an incredible 244 metres wide, 61 metres high, and covers an area of around 105,000 square metres. It takes my breath away every time I visit. Its scientific potential was first highlighted by Alfred Wallace, co-discoverer of natural selection, and frequent resident of Sarawak, who brought it to the attention of Thomas Henry Huxley way back in 1864. But it wasn’t until the 1950s that Tom Harrisson, and eventually his partner Barbara Harrisson, began meticulous excavations at Niah Cave, lasting until the 1970s. In 1958, at the level of 101-110 inches below the surface, the Deep Skull was found in the Hell Trench. Soon after, radiocarbon dating on charcoal gave it an age of around 40,000 years old. In the early 2000s, Graham Barker from Cambridge University reanalysed the site and its age, and through a combination of the dating of charcoal and the Deep Skull itself, they showed the skeleton to be 37,000 years old. Don Brothwell of Cambridge University studied the Deep Skull in 1960 and concluded it belonged to an adolescent male and might represent a population of early modern humans closely related, or even ancestral, to Indigenous Australians, particularly Tasmanians. His ideas were contentious even at the time, but have been highly influential ever since. We wanted to see whether Brothwell’s ideas might be correct after so long, especially given that so few scientists have taken the trouble of going to Borneo to see the Deep Skull for themselves. Our work is the most comprehensive description and analysis done to date. And in contrast to Brothwell, we found that the remains are most probably from a middle-aged woman rather than an adolescent male. We also compared Deep Skull with other fossils and recent human populations from around the region and found very few similarities to Indigenous Australians. Instead, it seems clear that Deep Skull most closely resembles the indigenous people of Borneo today, with their delicate features and small body size. The remains have also been a key player in the so-called “two-layer” hypothesis for the peopling of Southeast Asia. This old idea proposes that the very earliest humans in the region were related to Indigenous Australians, but were later replaced by farmers from southern China. 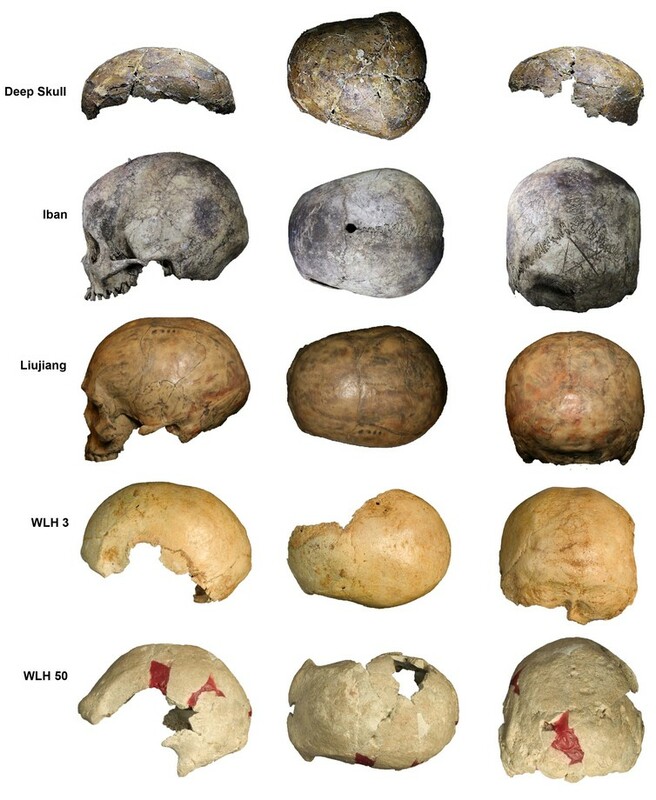 If we’re right that Deep Skull is related to the indigenous people of Borneo, then these people, who are distinct from Australians, have inhabited the region for at least 37,000 years and not 3,000 years as the two-layer hypothesis would imply. Our work finds support also in genetic studies of recent human populations across Southeast Asia, and together, they pose a serious challenge to the two-layer scenario for Borneo and islands further to the north. It’s exciting to think that after almost 60 years, fossils such as Deep Skull still have a lot to offer in helping us to reconstruct the early prehistory of Southeast Asia, and help us answer some of the deep mysteries of how early human populations moved across the globe.